Two hundred and sixty-four students at the University of Maine at Presque Isle have been named to the Dean’s List for the spring semester, according to Dr. Ray Rice, Interim Provost and Vice President for Academic Affairs. 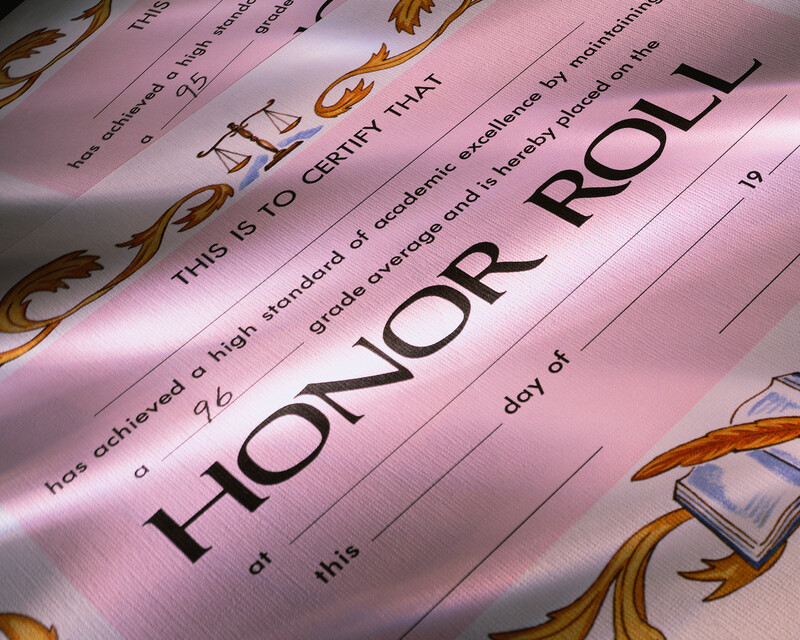 Named to the highest honors list are Abigail Mae Riitano, Abbot; Trisha Lynn Bizier, Albion; Shawna L. E. McDonough, Alexander; Tyler John Levesque, Ashland; Marissa M. McGovern, Baileyville; Samantha Josephine Hayes, Bangor; Olivia Dena Cyr, Shawn James McIntyre, and Nicholas Payne Parks, Blaine; Taylor Jordan Bradbury, Bridgewater; Ethan Scott Caron, Kim Nicole Chabre, Taylor Jayde Dwyer, Shawn Evan Frost, Sara Alicia Hamlin, Derek Micheal King, Chelsea Lynn St. Peter, Stephen Hale St. Peter, Idella Pearl Thompson, and Tyler Tourk, Caribou; Haleigh Erica Argraves and Claire Rachel Cheney, Castle Hill; Logan Kayla Caron, Chapman; Miranda Lois Bickford, Chesterville; Bradley Allen Lefay II, Crystal; Mitchell Emerson Bartlett, Danforth; Suzanne J. Swett, East Dixfield; Chelsea Farrah Porter and Brittany Sue Tompkins, Easton; Amanda Bailey Cole, Ellsworth; Bethany Ann Heald, Enfield; Krysta Nicole Brown, Farmington; Dana R. Boardman, Sydney Alexis Churchill, and Bobbi-Jo Oatway, Fort Fairfield; Kalle William Oakes, Greene; Valerie Olivia Estabrook, Alexandra Renee London, and Bethany Rose Millet, Hodgdon; Erynne Elizabeth Howland, Erin Taylor Keehn, Christopher Noel Phillips, and Alana Holliday Pratt, Houlton; Allison Paige Lopez, Kingfield; Amber Laurette Cloutier, Lewiston; Amanda Marie Allen, Andrew Kyle Hunt, and Karen Laura Page, Limestone; Riley Adam Hutchinson, Linneus; Jessica Nicole Campbell, Lisbon; Brooke Theresa Wood, Machiasport; Melanie Ann Maynard and Victoria Maxine Winslow, Mapleton; Madison Victoria Michaud, Mars Hill; Hillary Louise Pelkey, Mattamiscontis; Dylan Shayne Markie, Mattawamkeag; Meaghan Helena Hunnewell, Moscow; Nicole Marie Marucci, Naples; Malachi Mark Stover, Oakfield; Danielle Dee Smith, Phillips; Chelsea Rae Lynds-Beaulieu, Portage; Jessica Denise Coppola, William Pompeo Coppola III, Theodore William Gilliam, Jr., Natilee Ann Graves, Erica Kaylyn Hemphill, Caleb Timothy Hobbs, Jeffrey Lee Kiser, Melissa Marie Lizotte, Kaitlyn Danielle Martin, Joshua Michael Morrow, Kathryn Elizabeth Patenaude, Caitlyn Ann Roix, Jenna Victoria Soucy, and Hannah Michaella Wood, Presque Isle; Kelsey Dawn Worden, Princeton; Sara Katherine Packard, Saint Albans; Nicole Amanda Cyr and Samantha Taylor Nadeau, Saint David; Heather Eileen Murley, Sanford; Kenneth Denison Conley, Jr. and Felicia Erin Farnham, South Portland; Cassidy Nicole Mitchell, Standish; Margaret Alice Hart, Stockholm; Melonie Jean Ross, Strong; Tonya Stella Godin, Van Buren; Joshua Matthew Archer, Michaela Rose Bragg, Rebecca Sarah Campbell, Kelsey Mae Churchill, Angelita Elizabeth Hernandez, and Kolby R. Koch, Washburn; Sacha Willow Turnbull, Westbrook; Darcie M. Coy, Westfield; Errol Ireland III and Autumn Lynn Poulin, Winslow; Kaitlyn Mae Belanger, Shane Philip Burbank Belanger, Megan Donna Bither, Caley Marie Pelletier, and Morgan Nicole Swan, Woodland; and Crysania Harley Walker, Woolwich. From elsewhere in the United States are Nathaniel Richard Norris, Enfield, CT; Darby Danielle Toth, North Port, FL; Ashley Drew Mullane, Vero Beach, FL; David Gillissen Huntley, Indianapolis, IN; Valentina Marie Annunziata, Honeoye Falls, NY; Hilary Leigh Saucy, Harleysville, PA; and Renee A. Moore, Joint Base Lewis McChord, WA. From New Brunswick, Canada are Jenna Elizabeth Tompkins, Hartland; Kayla Lenora Saunders, Petitcodiac; Amanda Catherine Wall, St. John; and Tricia Hali Carter, Wicklow. From Nova Scotia are Nikki Dawn Haner, Bible Hill; Chantelle A. Butts and Katelyn Isabell McNeil, Glace Bay; and Leanne Marie Humphrey, Sydney. From elsewhere in Canada is Heather Michelle Oram, Glovertown, Newfoundland and Labrador. From even further afield are Yuting Zhou, Nanning, China; Shulei Zhang, Hanzhong, China; and Jordan Spencer Cook, Saffron Walden, Great Britain. 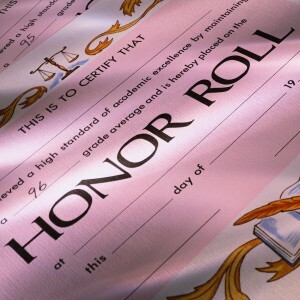 Named to the high honors list are Jordan Shaw Beaulier, Ashland; Corey Michael Hebert, Baldwin; Kristen Marie Westrack, Calais; John Frederick Barclay, Matthew Aaron Curry, Ashley Ann Dube, Hannah M. Gervais, Monica Ann Hewitt, Michelle K. Johndro, and Leah M. Rodriguez, Caribou; Victoria Joy Butterfield and Jessica Dawn Cheney, Castle Hill; Kyle Ross MacCallum, Chapman; Acacia Taylor Kimball and Chelsey Rae White, Easton; Austin Joseph Bernier, Elizabeth Judith Day, Alexandra Carol Green and Paul M. Kelley, Fort Fairfield; Courtney Arlene Roberts, Gorham; Cody Gilbert Pond, Haynesville; Lydia Streinz, Hersey; Quinn Jacob Harris and Sara Elizabeth Hemingway, Hodgdon; Morgan Celine Roy, Howland; Elizabeth Mary Bishop, Island Falls; Courtney Marie Chartier, Limestone; Kaeson Ronald Richardson, Madison; Wendy Lee Maple and Saul Anival Nunez, Mapleton; Jesse Steven Sandstrom, New Sweden; Ethan Collins Burke, Newburgh; Madeline Annette Bither, Brooke Morgan Lilley and Jessica Dawn Tucker, Oakfield; Joseph Robert Ladd, Orland; Hannah Buhler, Patten; Carly On Bell, Derek J. Boudreau, Patrick Ryan Brayall, Tyler Keith Brooks, Keanna Gail-Keaton Daniels, Eric Steven Depner, Erika Yvonne Engstrom, Paige Annie Gagnon, Alexander Roland Hemphill, Aaron Wesley Kofstad, Meghan Elizebeth Legassie and Maddasin Lynne Willette, Presque Isle; Regan Ronald Sargent, Rangeley; Megan Jane Palmer, Sabattus; Heather Rae Dyer, Surry; Jean-Pierre Dumond, Van Buren; Craig Pullen, Waterville; Andrew Justin Dolley, Whiting; Lyric Ann Foss, Whitneyville; Casey Dorrity, Winterport; and Crystal Lynn Brayall, Woodland. From New Brunswick, Canada are Gaila Marie Love Allan, Glassville; Lisa M. Shannon, Moncton; Katirena Ivy Hollins, Three Brooks; Maren Virginia Antworth, Upper Knoxfort; and Rodney Bruce MacLean, Weaver. From even further afield are Tong Liu, Beijing, China; and Oliver James Barratt, Bury St. Edmunds, Great Britain. Named to the honors list are Marc David Knapp, Amity; Cassandra Lauren Cyr, Bangor; Jordan Arthur Gillespie, Bingham; Connor Patrick Boulier, Blaine; Hazen Rust Dauphinee, Bradley; Kylee Marie Alton, Burnham; Shannon Marie Brown, Calais; Grant Quinton Bennett, Dylan George Bouchard, Darci Caitlin Faye, MacKenzie Leigh Hey, Matthew John Manter, Jamie Elizabeth Martin, Michelle Marie Tardif, and Michelle Amy Wright, Caribou; Danielle Marie Thibodeau, Connor Township; Matthew Thomas Glover, Danforth; Joshua Brian Lugdon, Dedham; Bailey MacKenzie, Ellsworth; Christopher Eric Arnold II, Etna; Alyssa Rae Dougherty, Kellie Leigh Osgood and Veronica Hope Plourde, Fort Fairfield; Dean Lee Clavet, Frenchville; Derrick Maurice Elijah Ellis, Destiny Renee Ellis and Parker Paul Quint, Hodgdon; Jessica Lynn Dickison and Mikaelah Ann Tracy, Houlton; Christopher Edmond Daly, Kingfield; Donald Francis Collins, Jr, Lincoln; Zachary Alan Turner, Linneus; David John McDermott, Madawaska; Kadiya Ireland, Madison; Jason Thomas Johnson and Frank Patricio Nunez, Mapleton; Olivia Laura Garrison, Spencer Gregg Garrison, Conor Wallace Todd and Shannon Elizabeth Todd, Mars Hill; Benjamin Edmond Boutilier, Merrill; Katlyn Rogene Dow, Milbridge; Mackenzie Renae York, New Limerick; Victoria Bouchard, New Sweden; Katarina Alisha Jenson, Perham; Mitchell Bruce Ayotte, Candy M. Easton, Julie Ann Knight, Jessalyn Joy Levesque, Dylan Joseph Michaud, Joseph Antonio Paolucci, Misty Lynn Steward and Kaitlyn Elizabeth Whittington, Presque Isle; Brandon William Bonney, South Bristol; Jason Allen Fortin, Van Buren; Jacob Alden Reed, Wade; Carrigan Kennedy Levesque, Wallagrass; Darbie Drew Koch, Washburn; and Christine Louise Lewis, Wilton. From elsewhere in the United States are Nicolas Eugene Lenhard, Falcon, CO; Joshua Marotta, Burlington, CT; Jesus Gabriel Garcia, Jewett City, CT; Maurice Harris, Jr, West Park, FL; Katharine Anne Waldron, Natick, MA; Brinnah Catherine Leiching, Shokan, NY; and Mitchell Colin Thayer, Colchester, VT.
From New Brunswick, Canada are Veronique Bouchard, Drummond; Emma Lee Ruff, Quispamsis; Naomi Betty Dawne Ste Marie, St. Stephen; and Amiah Suzanne Wheelan, Woodstock. From Nova Scotia are Naomi Dawn French, Glace Bay; and Sarah Christine MacKenzie, Port Howe. From elsewhere in Canada is Anne Heather Payne, Wabush, Newfoundland and Labrador. From even further afield are Ying Zheng, Luoyang, China; Ning Sun, Qujing Yunnan and Wei Wang, Qujing Yunnan, China; and Xuetong Zhang, Shenmu, China. Aslo named to the honors list is Kris Anne Beaton, no hometown listed.